Click directly above to join the registry. ​The people of The Woodlands in Connoquenessing Township desperately need your help. Over 50 families have been without water for over 6 years. Their only source of water is a "water bank" that is completely reliant on donations. Please help them in any way you can! "The people have a right to clean air, pure water, and to the preservation of the natural, scenic, historic, and esthetic values of the environment. Pennsylvania's public natural resources are the common property of all of the people, including generations yet to come. As trustee of these resources, the Commonwealth shall conserve and maintain them for the benefit of all the people." See the break-down by township here. Click on the picture to see photos from our actions protesting the Krendale pad. 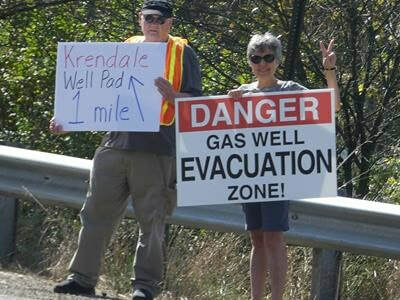 Help us fight the Krendale well pad in Butler Township! More info here. View the presentations from our April 7, 2018 Krendale program here. This mapping system allows you to measure distances from a well pad to you. See the map below with the measured distance between Connoquenessing Elementary School and the nearest well pad. A presentation on The Southwest PA Environmental Health Project’s AIR EXPOSURE MODEL. SWPA-EHP developed this model to help you decide how to minimize the health risks to you and your children. 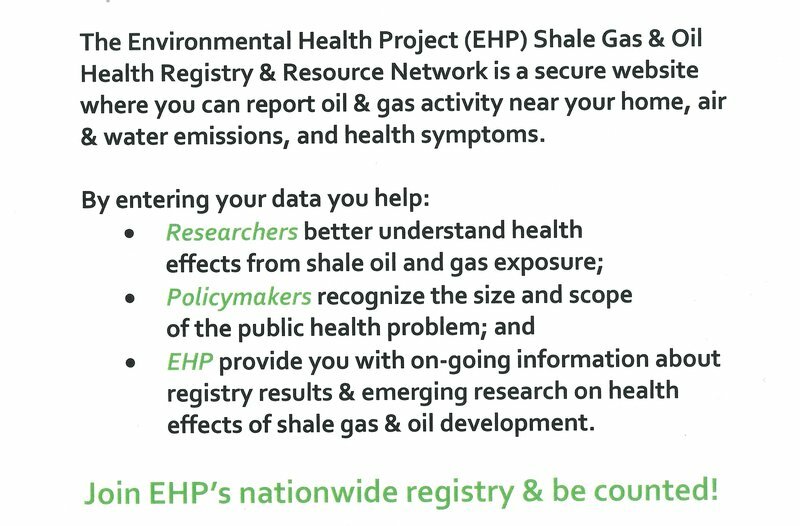 The AEM is based on weather conditions and exposure to toxic air from unconventional gas drilling. Visit http://publicfiles.org for more information. 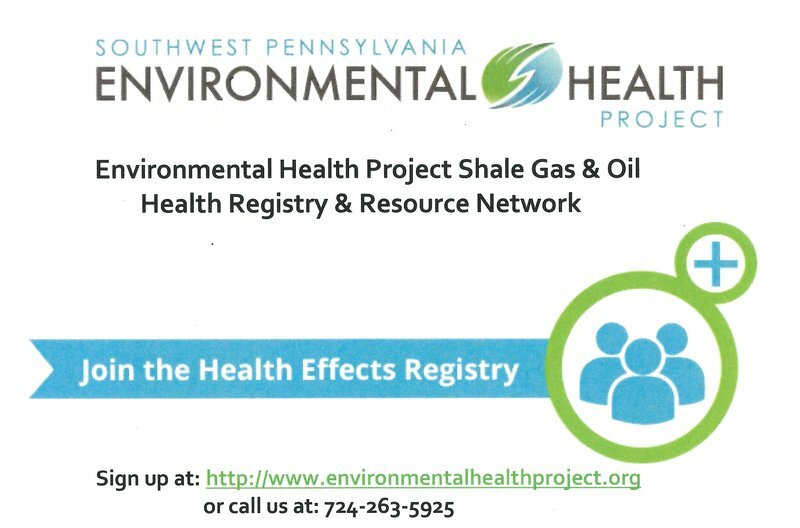 Marcellus Outreach Butler (MOB) is a grassroots environmental organization that was formed in 2010 by a group of concerned Butler County residents to educate and inform the public about the dangers of hydraulic fracturing, or fracking. We are a 501(c)(3) non-profit organization. MOB has conducted ongoing public outreach for over 7 years, hosting expert speakers, film screenings, public meetings and forums, and organizing rallies, protests, and marches. MOB fully supports and actively advocates for a national ban on fracking, as we believe that it can never be done safely. MOB is also dedicated to educating Butler County about climate change and its effects, as well as fracking’s significant role in causing climate change. Marcellus Outreach Butler is supported in part by a grant from the Three Rivers Community Foundation.